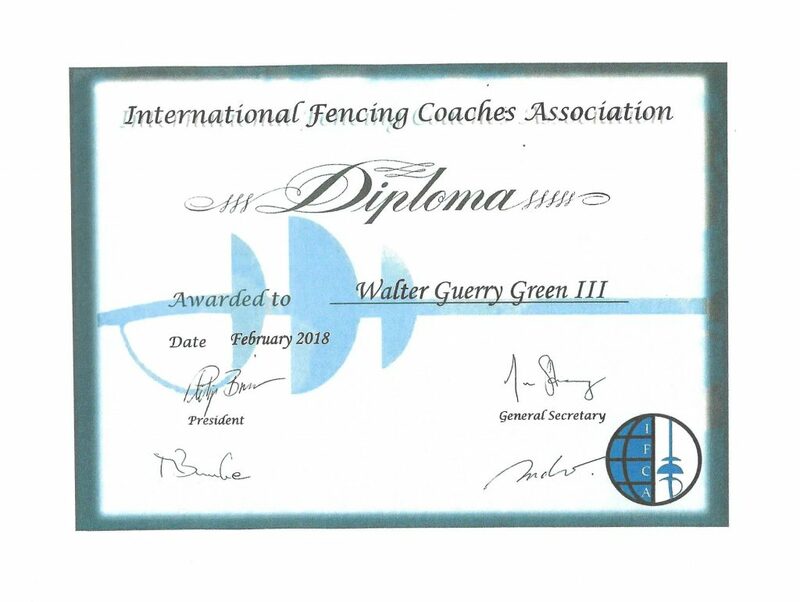 Maitre Green has been awarded the Diploma of the International Fencing Coaches Association (IFCA). For those not familiar with English practices for recognition of fencing masters, award of the Diploma identifies the individual as a full three weapon fencing master, the highest qualification for those who teach and train fencers as competitive athletes. Maitre Green already is recognized as a Maitre d’Armes by the Academie d’Armes Internationale (2005), as a Classical Fencing Master by the Classical Academy of Armes (2005), and as a Maitre d’Armes Historique by the United States Fencing Coaches Association (2013). The International Fencing Coaches Association is one of two international professional bodies that recognize national academies of arms and credential individual fencing trainers. Unlike the Academie d’Armes Internationale, it also accepts individual trainers as members, including a number of fencing coaches in the United States. 180304 What Do You Need To Fix? 180311 What Do You Have To Have To Hit?